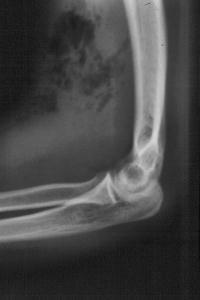 Parenteral drug abuse leads to infectious complications in many patients due to the injection of unsterile particulate suspensions. Injected intravenously, these result in hematogenous infection, but when the abuser "misses" a vein and injects into the soft tissues, local abscesses may occur. The interesting question is why this does not happen every time that there is an injection mishap. 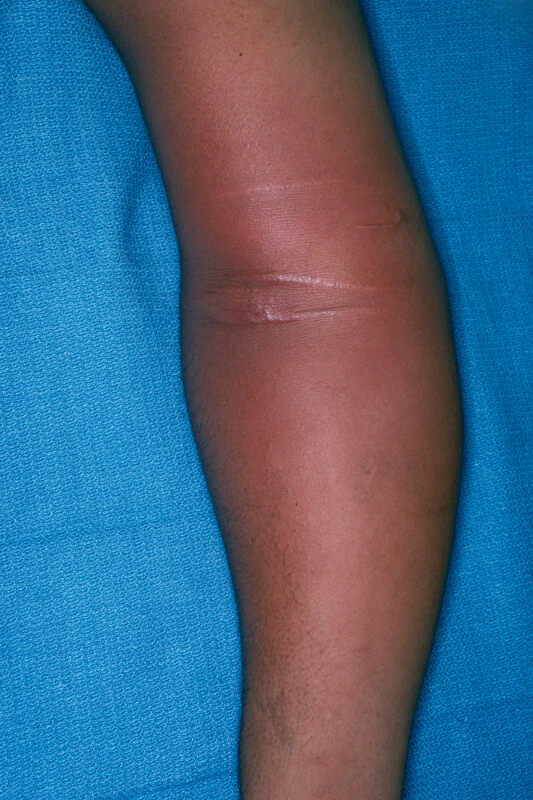 This patient presented with signs of systemic sepsis, antecubital swelling, pain and crepitation 36 hours after injecting but missing an antecubital vein. Xrays confirmed multiple gas pockets in the soft tissues. The patient was treated with broad spectrum antibiotics, emergency debridement, delayed closure, and was free of infection until lost to followup three weeks later.